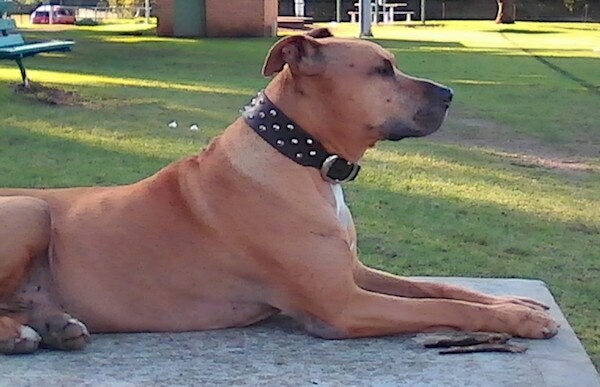 "Jake is an eleven year old male APBT. 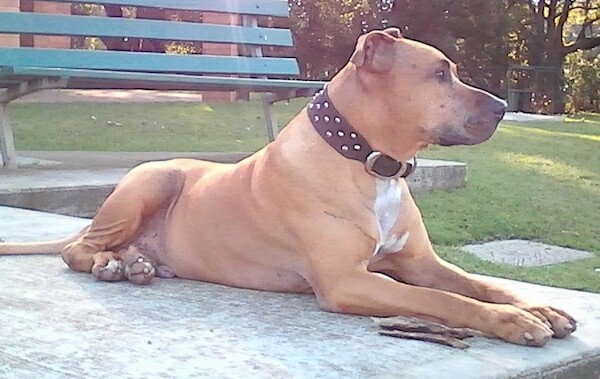 He is a Jeep/Reid/Tyson scatterbred and weights 64-66 pounds (29-30 kg). He's always been a very willing and athletic type of dog." 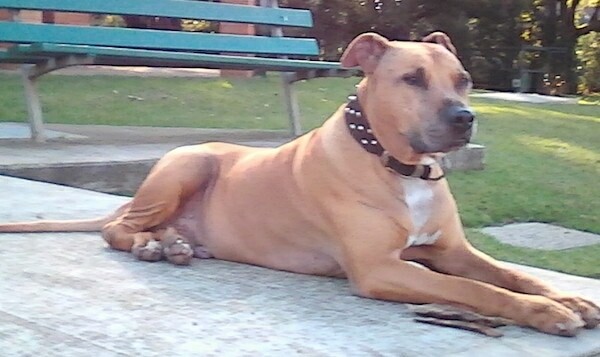 Jake the male scatterbred Jeep/Reid/Tyson APBT at 11 years old.